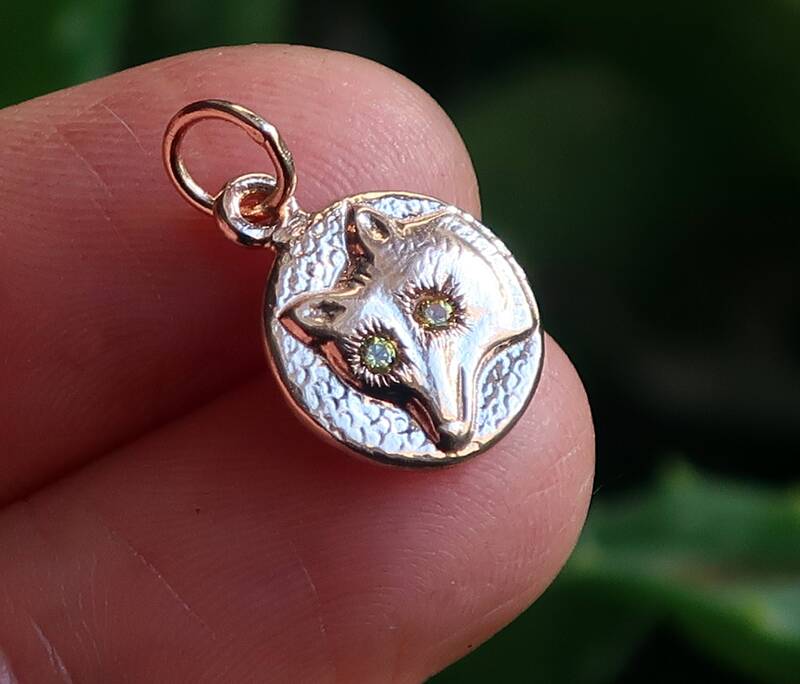 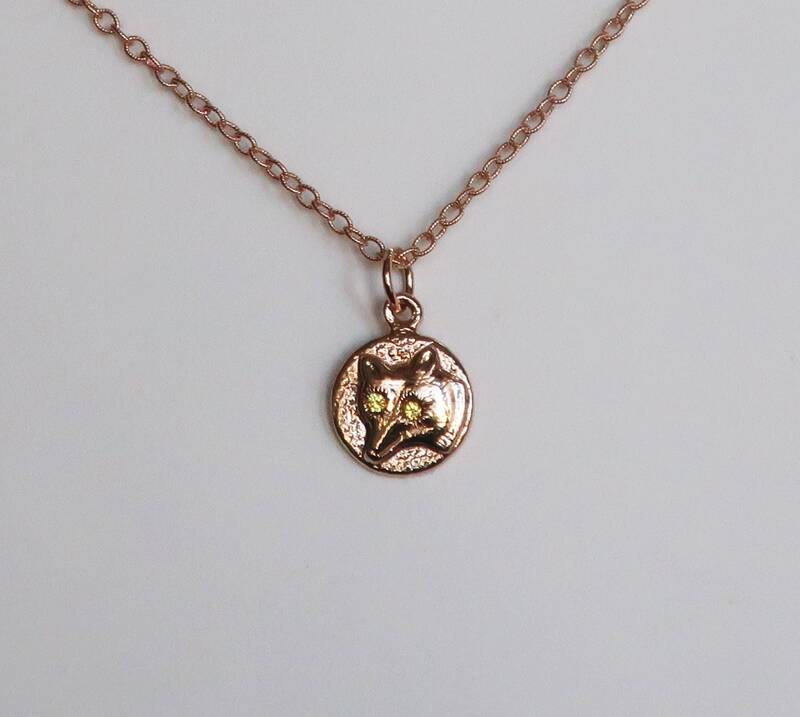 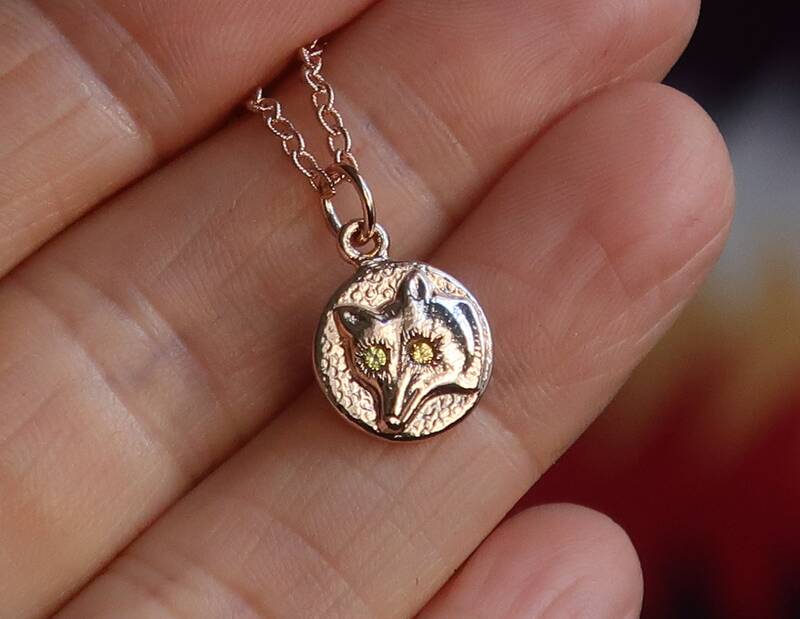 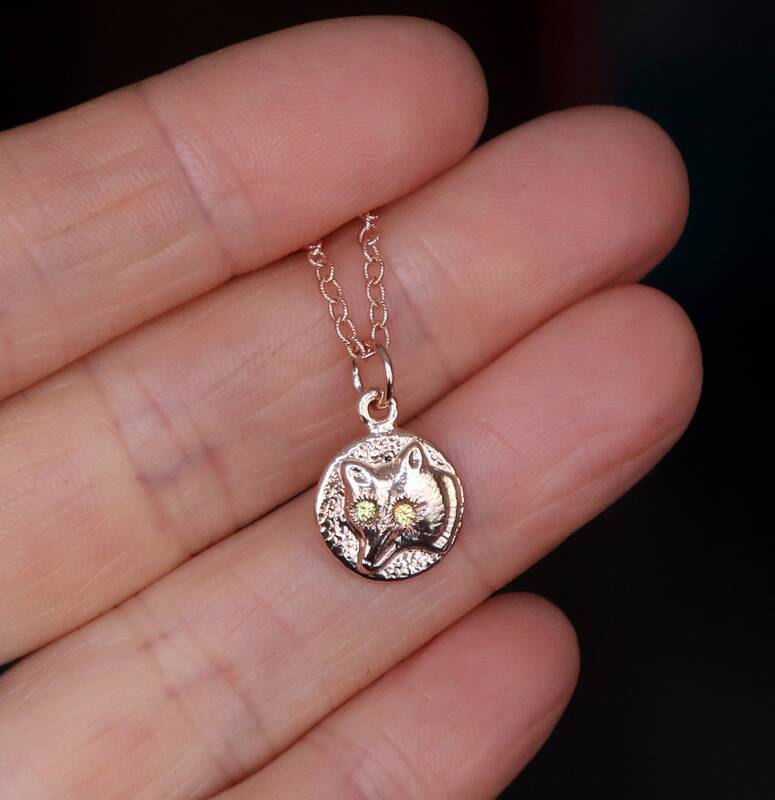 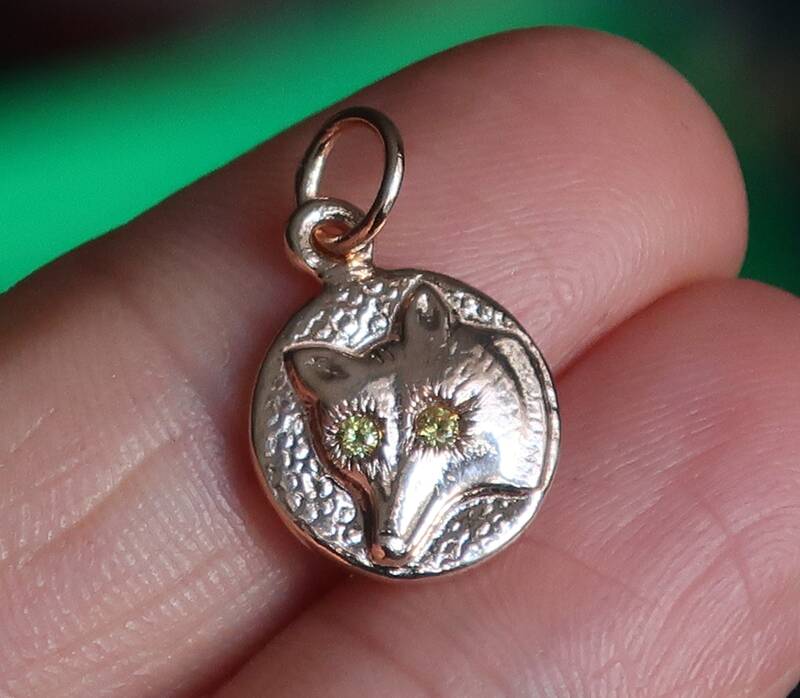 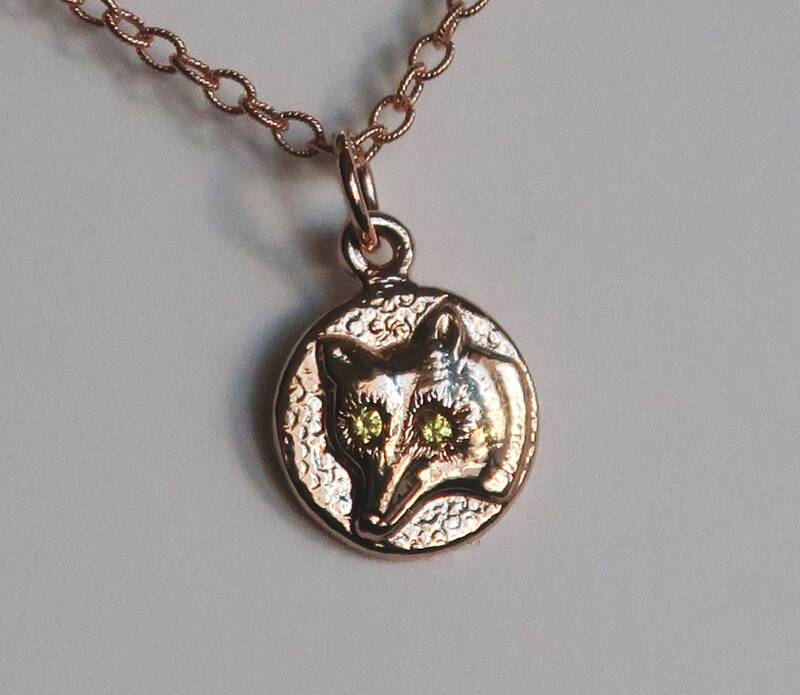 This solid 10k rose gold Fox Charm is made from a cast of an Antique Parisian Button that a friend gave to me. 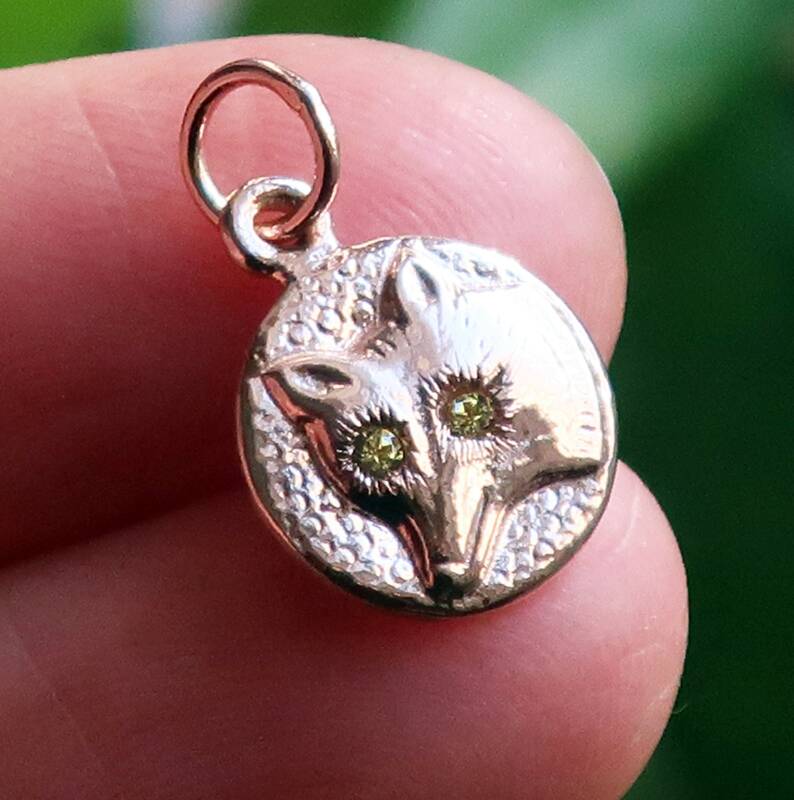 It is set with 1.5mm lab-created yellow sapphire eyes. 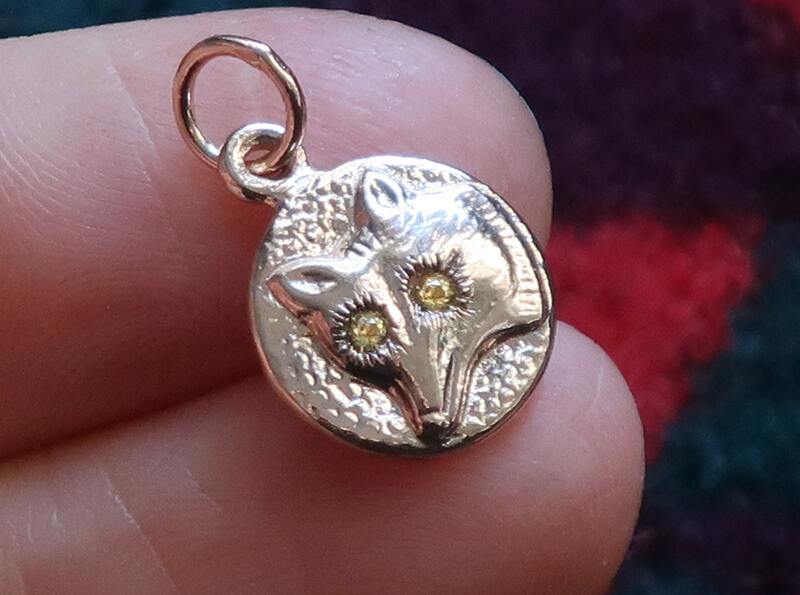 Available as a charm only.